Comments Near Eye clean, Gorgeous Emerald with the famed Korean Grass Juice color. 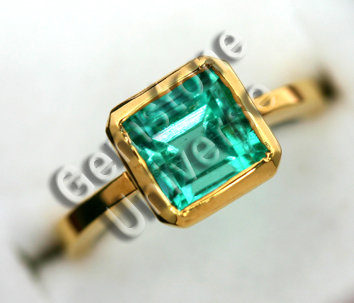 The beauty of this emerald got enhanced several times once it was set in the ring. Again a great honor for Gemstoneuniverse.com to make Gemstones of such purity available to its patrons.